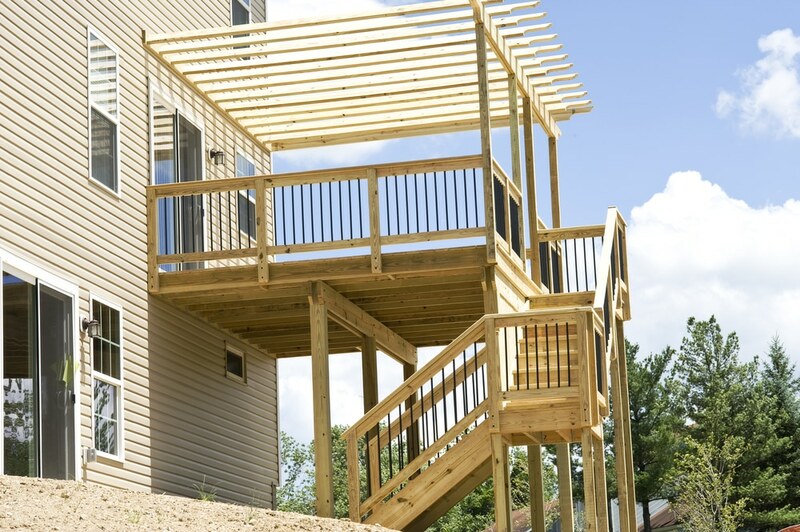 How to Perform an Inspection for Deck Safety | Wood. It's Real. | Wood. It's Real. …but really, any month is a good time to perform your annual deck inspection. Thankfully, Southern Yellow Pine (SYP) is durable in many climate conditions when properly treated and installed for outdoor use, so your job is likely to be an easy one. 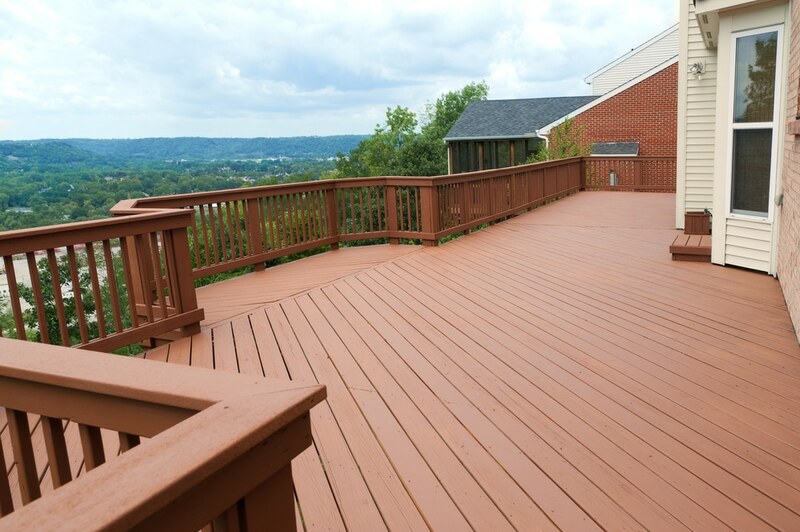 Even the sturdiest wood will eventually show signs of wear and tear in harsh outdoor elements, so it’s best to identify problems quickly and ensure your SYP deck stays beautiful and strong for years to come. To get started, you’ll need a strong flashlight, a flathead screwdriver, a pair of protective work gloves and a hard hat or head covering for crawling around in tight under-deck spaces. Your primary goal at every step of the inspection is to assess the general condition of the wood. Unusual weathering or water damage, splits, cracks and large splinters are your primary visual targets. If you find a split or gap, gently insert a flathead screwdriver into it. If the screwdriver can sink more than 1/4 inch, it may indicate rotor a sealant failure that needs to be remedied. Similarly, any noticeably soft, bouncy, or deformed areas should be assessed for rot control or loose nails and screws. Carefully inspect the sealant, stain, or finisher on all wood surfaces, paying particular attention to discoloration, mold, and moss. It’s also a good idea to review your deck just after a rainstorm or after lightly wetting the surface with a hose. Any spots where the water is stagnant or sinks into the wood instead of beading on the surface might mean it’s time to re-seal or stain that area. Screws and nails can work loose as your Southern Yellow Pine naturally swells and contracts, so carefully inspect each one and re-seat if necessary. Also, take note of any signs of damage in the nearby vicinity. Make sure that these structures remain sturdy and strong, with no wiggle or give when you apply firm pressure, no loose nails or screws, and no signs of damage to the Southern Yellow Pine itself. Once you’ve given the top surfaces a good look, it’s time to crawl under the deck and assess the support structures, starting with the posts. Check all fasteners for re-seating or replacement, and ensure that all posts remain sturdy and upright, with no signs of sinking or shifting in the cement footers or other support blocks. The ledger board is the piece that sits flat against your wall to connect the deck to the main structure. It’s a vital component for keeping your deck secure, so you need to check carefully for loose fasteners, discoloration, and especially any signs of damage, cracks, or splits. Flashing is usually a metal or plastic sheet used to prevent moisture from collecting between the ledger board and your home. Check the integrity of the flashing to ensure it has no holes or gaps and that it hasn’t come loose. If it’s undamaged but loose, you can re-fasten it with an appropriate nail or screw, ideally matching the existing fasteners. A deck made from Southern Yellow Pine is durable, beautiful, and long-lasting with proper care and maintenance. With annual inspections and regular upkeep, you can maintain the beauty of your home’s exterior and enjoy SYP’s splendor for years to come.